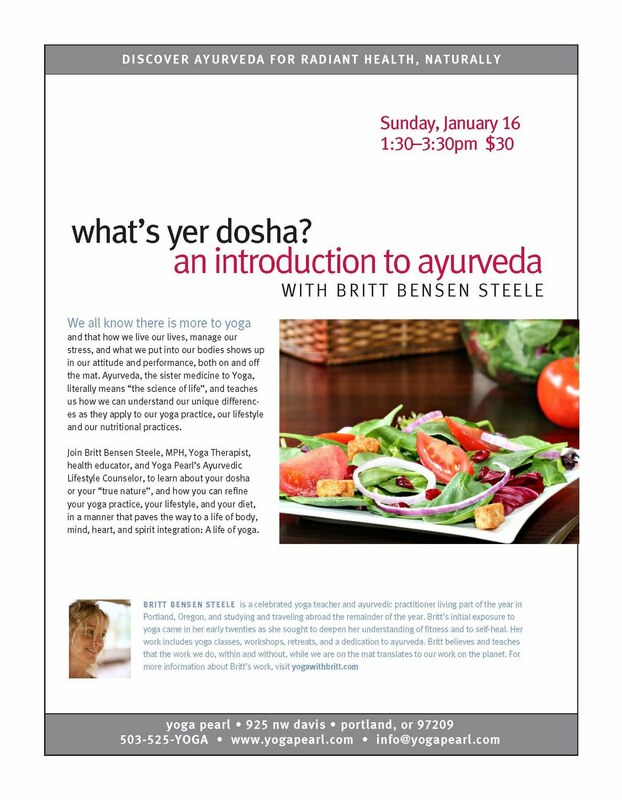 Ayurveda Workshop.... Come One, Come All..
Fresh off the turnip truck from India.... join Britt as she shares her experience of spending 2 months with Dr. Vasant Lad, international leader in Ayurvedic Medicine. 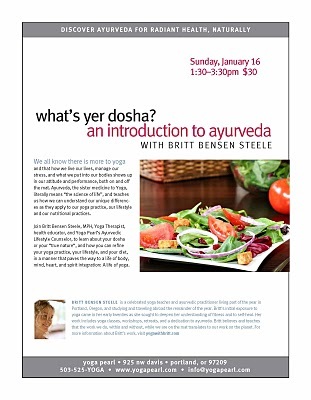 Deepen your understanding of Ayurveda or introduce yourself to this worldly healing modality. Ayurveda can balance your life, cleanse your heart and open your life up to possibilities beyond your current reality. This is a great "primer" for upcoming workshops and classes, and an introduction to what your tongue and pulse can tell you about your health. Hope to see you there! (Even if you've been before, you won't be disappointed!)... Limited space available.